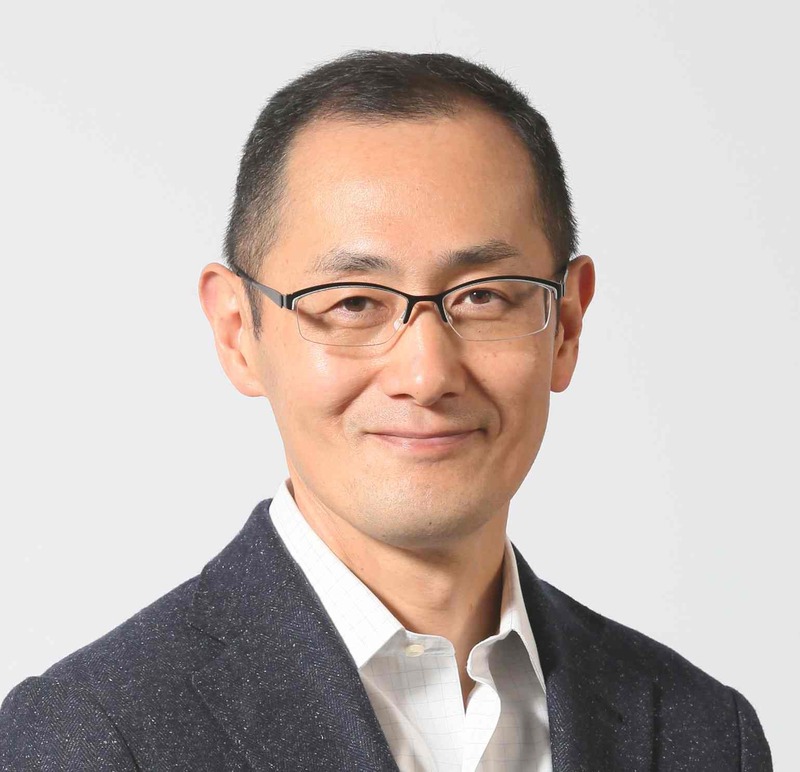 I invited Nobel Laureate Shinya Yamanaka to do an interview on the future of clinical translation of induced pluripotent stem cells (iPSC). He provides some intriguing new insights into the iPSC field and the broader stem cell arena. PK: The Takahashi Team’s active Clinical Study using iPSCs to make RPEs to treat Macular Degeneration has generated a great deal of excitement. Can you please share your perspectives on the importance of this work and the team involved? SY: This is the first study to apply iPSC technology to human care. This is a very important study, because if it succeeds it will show that iPSCs can be safely used in humans and also their potential for cell transplantation treatment. We collaborated with Dr. Masayo Takahashi of RIKEN CDB by evaluating the safety of the iPSCs and iPSC-derived cells that were used for the cell transplantation. She is an excellent researcher, and I am not surprised that her team is the first to have succeeded in this transplant. PK: Any cutting edge investigational clinical work such as this has some risks. Could you please comment on the potential risks in this iPSC trial? Are there some elements here such as preclinical data, the number of cells used, or the target tissue of the eye that lower risks? SY: One of the major concerns is whether transplanted cells such as the RPE sheets will cause tumors. In our collaboration with Dr. Masayo Takahashi’s team, we evaluated the safety of iPSCs and iPSC-derived cells by genome and epigenome analysis. While we minimized the risk to a level acceptable for clinical trials, we really cannot confirm how the cells will respond until we actually do experiments with humans, which is why this project is so important. One advantage of treating age-related macular degeneration is that it is easy to detect any abnormalities in the eyes, which is why the disease is a good starting model for iPSC-based treatment. PK: As the inventor of iPSCs did you imagine 7-8 years ago that a patient in a clinical study in 2014 would already have received an iPSC-based treatment? How was this rapid translation from bench to bedside possible? SY: I was surprised that after the announcement of human iPSCs in 2007, Dr. Takahashi told me that she would bring iPSC to the bedside within five years. I thought it possible technically speaking, but doubted it could be done so soon, since we needed to improve the technology and get government approval. It took 7 years, which is remarkable considering the work required. Both the accomplishment and the speed at which it was achieved are testaments to Dr. Takahashi’s leadership and her strong team. The rapid transition is because many bright and passionate people are in the iPSC field. The funding and infrastructure provided by the Japanese government is also a major factor, as these have encouraged excellent scientists to enter the field. PK: We are also starting to hear more about Dr. Jun Takahashi’s Team’s important work towards using iPSCs to treat Parkinson’s Disease. Can you please tell us more about that? SY: Prof. Jun Takahashi’s team at CiRA is working on cell therapy for Parkinson’s disease, aiming to transplant iPSC-derived dopaminergic neural progenitor cells into PD patients’ brains. Early results suggest this treatment can be effective, and his team has established the protocol for transplantation. They are now focusing on validating its safety using monkey models. We hope his work will soon reach the operating room within the next few years. PK: What other clinical applications of iPSC technology are in the works and that might begin clinical studies in the next few years? SY: There are two major clinical applications of iPSCs, namely regenerative medicine and drug discovery. CiRA has a number of researchers working on either or both. For regenerative medicine, Prof. Koji Eto at CiRA is working on generating platelets via iPSCs, and we expect this will also proceed to clinical research in a few years. Besides work at CiRA, a team at Keio University has a plan to conduct clinical research on patients with acute spinal cord injury in four to five years, while Osaka University and Keio University hope to transplant iPSC-derived cardiac myocytes into patients with heart diseases within a few years. CiRA is collaborating with these teams as well. Regarding drug discovery, you may have heard recently of CiRA’s Prof. Noriyuki Tsumaki’s paper about statins effects on bone growth, which was published online in Nature last month. PK: Some in the media are taking about a certain tension between clinical iPSC work in Japan and clinical iPSC work in the US. Do you believe such a tension exists and if so, why? What does it mean for the iPSC field overall? SY: I am not sure what “tension” means. I understand that both competition and collaboration exist between the US and Japan. PK: How do you view hESCs today? Are there hESC clinical trials or potential applications that are of particular interest? What is your view of the argument by some that hESC are no longer needed? SY: Human ESC was a great discovery for regenerative medicine and also instrumental to the discovery of iPSC and the type of medical treatments we are aiming to apply iPSC. At the same time, the ethical issues that hESC possess mean that as iPSC technology improves, hESC will be less needed. Still, iPSC is a new technology, and its safety and efficacy still needs to be confirmed. In addition, there may be some therapies for which hESC are better than iPSC. Thus, I think basic and clinical research of hESC is also important and should be done in parallel with iPSC research. PK: What excites you most about the stem cell/regenerative medicine field right now today? SY: I am excited about the possible number of people treated with iPSCs. This field has great potential to provide treatments for currently incurable diseases. Hopefully, within 5 years, we will refer to Dr. Masayo Takahashi’s AMD work as just one of many patient studies using iPSCs. PK: Where do you see the iPSC field and the broader stem cell field in say 5-10 years? SY: It is pretty amazing how much it has changed in the past years, so predicting the next 5-10 years is very difficult. I certainly hope we will see more diseases being treated with iPSC and related technologies such as direct reprogramming. I also hope that iPSC will be used more widely and routinely in drug development. PK: What advice would you give to young scientists today who are excited about a career in stem cells/regenerative medicine? SY: Through biomedical research, you could help thousands of patients in the future. Stem cells provide unprecedented opportunities in stem cell therapy and drug development. Biology of stem cells itself is extremely interesting. I hope many young scientists will enter to this field. Thank you for this very interesting interview. I have got an additional question, Is it advisable to store the milk from my children, respectively the mesenchymal stem cells from the milk teeth. I would be very glad if you will answer me this question. Could Dr. Yamanaka answer this question: do the patients taking iPSC-regenerative therapy take immune reaction-suppressing medicine? I see that iPSC are also proposed to fix spinal cord injury. Let us hope that it will be so!!! In the meantime, I see that culture-expanded adult stem cells from the olafactory bulbs have been demonstrated to at least partly fix one paralyzed man. As a stem cell expert, how do you see the relative advantages of iPSC and adult stem cells for this condition? Might there be things about iPSC methodologies that would inform the adult stem cell methodology, and vice versa? The article on the olfactory stem cells combined with nerve graft helped spinal cord injury caught my attention. My gut feelings on this run in two opposite directions. On the one hand I think there’s something real and promising here, which is awesome. On the other hand I think that story got really hyped, which just muddies the water. Since this approach involves removing the olfactory bulb, which is actually part of the brain, there’s got to be some risks there. This was played down in the article. Overall, I hope it develops into a proven effective and safe treatment for spinal cord injury. The idea of using iPSCs to treat spinal cord injury makes sense in principle as these cells could make numerous types of spinal cord cells that could be helpful, but it is still very early days on this front so it’s hard to say how well it would work. Safety is another potential issue for any stem cell treatment of this kind. The first clinical study of an iPSC-based product just began in Japan so there’s a lot for us to learn there still. I think adult and iPSC studies could be informative for each other. More broadly, I support both kinds of research and find them exciting. Regarding the clinical studies like this, my concerns are not yet resolved. They are the preclinical requirements on safety as same as every new entity of drugs should be done before any clinical studies in the developed nations (ICH guidelines, e.g.). I am not sure whether or not such data have been collected. I have got the same question as Richie (see first comment). Is it advisable to store the stem cells of milk teeth of our children ? @Toshi Yasda, the ICH guidelines have to be adapted for one-dose only cell therapies. As far as immunogenicity, tumorigenicity, etc… Masayo Takashi has published a nice series of papers detailing the studies and results from her RPE cells from several iPSC lines in animal models. Those were heavily criticized because she would not do tests on larger animals. Eventually a study was done that included exactly one monkey and that was it. Cites available on request. The iPSC RPE AMD trial is very exciting. Could you comment on how iPSC derived RPE cells would be superior to hESC derived RPE cells. TY.